Tasting note: Relatively simple and uncomplicated, nice red fruit characters and spice. Tasting note: Savoury spice, raspberry and delicate plum on the nose and palate. Quite floral. Tasting note: Liberal oak contact, this oak dominates the nose. Very full on the palate with characters of peach and melon, the fruit notes are bold enough that the oak does not dominate the palate. Tasting note: An elegant style, dusty on the palate and spicey. Tasting note: Aged characters are only just gracing the palate of this wine, smokey, tobacco palate with a great earthiness. Tasting note: A little more brooding in style, it still has those lovely pepper tones but enters more the cherry and prune spectrum of fruit characters. Tasting note: Lifted citrus tones on the nose and palate. Great texture and nutty flavours. Tasting note: Brambly characters, herbaceous with a good tannin structure. Tasting note: Silky, velvety mouthfeel. Pepper, spice and sour cherry. Tasting note: Raseberry, menthol, mint on the nose and palate, as expected with Nebbiolo it has a big tannin structure. Tasting note: Vanillian oak on the nose, cherry and violets. Needs a good piece of salami to tone down the tannins. Tasting note: A dessert wine made from dried muscat grapes, very delicate, orange blossom and honey characters. Barely showing a hint of age. Tasting note: Straw, citrus, lime juice and racy acid. One of the better ’11’s I’ve tasted so far. Tasting note: Funky nose, palate of citrus, white nectarine and subtle oak. Tasting note: Mediterranean style, savoury spice and fine tannins. Tasting note: Holy white pepper! White pepper on the palate and nose but nicely rounded out by soft blueberry characters. Overview: Beaujolais is by far one of my favourite styles of wine. If a masked gunman held a gun to my head and forced me to choose the one style of wine to drink for the rest of my days I would choose Beaujolais. It is a region that overlaps with Rhone and Burgundy but is considered separate from both. The grape used to produce Beaujolais is Gamay. I’m not sure if there is a word like onomatopoeia that, instead of meaning a word that sounds like it spelt, means it taste like it sounds, but for some odd reason I find that Gamay tastes like it sounds. I have created my on term called onomatosippa. Typical characters of Beaujolais are strawberries, pepper and strawberry yoghurt. Beaujolais uses a winemaking technique called carbonic maceration, when harvested the grapes are poured into vats. Gravity causes the skins of the bottom third of the grapes to split and the juice ferments in the skins of the fruit. Carbon Dioxide, a by-product of the fermentation process, rises through the vat and permeates the skin of the unbroken grapes to create a ferment within the individual berries. I’ve notice that there are people who vehemently hate Beaujolais, when I’ve probed for details I have discovered their only interaction with the style is Nouveau. Nouveau is released very young for ‘Beaujolais Nouveau Day’, which is a Beaujolais harvest festival of sorts, and is very light and supposed to be drunk as young as possible. Thus by the time a Nouveau Beaujolais reaches our shores it is past its prime. The Joseph Drouhin Beaujolais in this review is a Village which sits between Nouveau and Grand Cru. Tasting note: A nose of strawberry and white pepper, it is typically lighter in style with the characters of strawberry and white pepper as the dominate flavours on the palate and are joined by spice and soft tannins. Final Say: This is one of the best value Beaujolais’ I have tasted, you can pick it up for around $18 a bottle. It’s a light style and goes with a range of dishes from salads to pork and can be chilled. Score: 17.5 out of 20 (88 out of 100) A damn good drop. Overview: For those who have been following my blog for a while now may notice my tendency towards International wines. This is simply because a lot, not all, but a lot of Australian Wine blogs cover more Australian wine than anything else and I am of the belief that there is a need for more coverage of international wines. After all Australia would not have a wine industry without the influence and guidance of the ‘Old world’ of wine. The ‘Old world’, in wino speak, includes France, Italy, Spain, Portugal, Germany and Greece, though Grecian wines have been overshadowed by the rest of the ‘Old world’. These countries have been making wine for hundreds and thousands of years. The ‘New World’ of wine refers to Australia, USA, Chile, South Africa, Argentina and many other budding wine growing countries. Australia does not produce the best wines in the world but they do produce some of the best value wines in the world, just like the wine in this review. Just as we, Australians, are new on the Winemaking scene so is Cabernet Sauvignon. When I say new I mean it was believed to be developed in the 17th century whereas the older varieties like Chardonnay, Shiraz, Cabernet Franc etc. can date all the way back to 500AD. Cabernet Sauvignon is a hybrid of Cabernet Franc and Sauvignon Blanc, that’s right a cross between a red and a white. 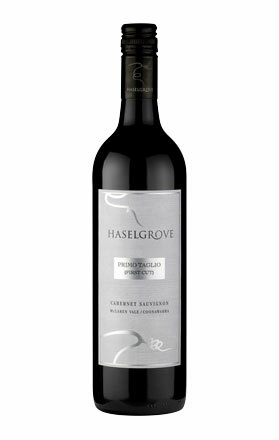 The Haselgrove First Cut (Primo Taglio) Cabernet Sauvignon is from the McLaren Vale, a warm region that produces great, full-bodied red wines. Tasting note: A nose of plum, mint and tobacco. The palate is soft and smooth with characters of plum, blackberry and menthol with dry, grippy tannins. Drinking well now but will benefit from careful cellaring. Final Say: This wine generally sells for around $16 a bottle but I have seen it as low as $14 so as I said this wine represents what Australia is known for, powerful, great value wines. 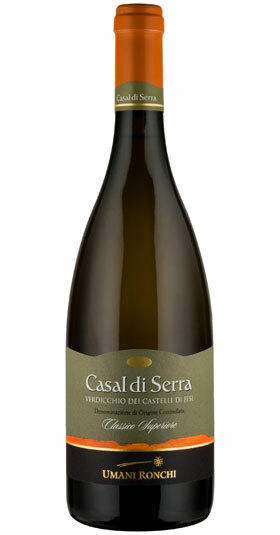 Overview: Umani Ronchi Casal di Serra Verdicchio dei Castelli Jesi, try saying that three times quickly. Just the variety itself is a tongue twister, Verdicchio. It’s easy to see why people are scared from these kinds of wines when the label is like some obscure riddle so let’s break it down. Umani Ronchi is the producer, Casal di Serra is what Umani Ronchi have named this wine, Verdicchio is the variety and Castelli di Jesi is the sub-region that the fruit has come from in Marche. This is a DOC Classico Superiore classified wine which means it comes from a region recognised for growing Verdicchio and is from a historic zone from which the wine has gained fame. Sometimes deciphering a label is half the battle. Verdicchio is a variety that is not too common in Australia, the variety produces wines that developed as they age and typically display characters of citrus and straw. I’ve heard it to be likened to a Hunter Semillon. If you’re a wine wanker like me you might prefer to say that a Hunter Semillon is similar to Verdicchio in style. Tasting note: Golden in colour, this is a sign of the wine’s development. A nose of honey and lemon. The palate is toasty with a hint of straw there is a touch of pineapple on the back palate but this wine mostly displays lovely savoury tones, rosemary, a soft acid and a mouth feel that is not creamy as such by incredibly full. Final Say: Want a wine perfect for seafood? Then go out a grab a bottle of this wine. It has those savoury tones that are hard to find anywhere other than in Italian white wines. It sells for between $25-$30 a bottle, a steal for a wine that sits in the classification of DOC Classico Superiore.